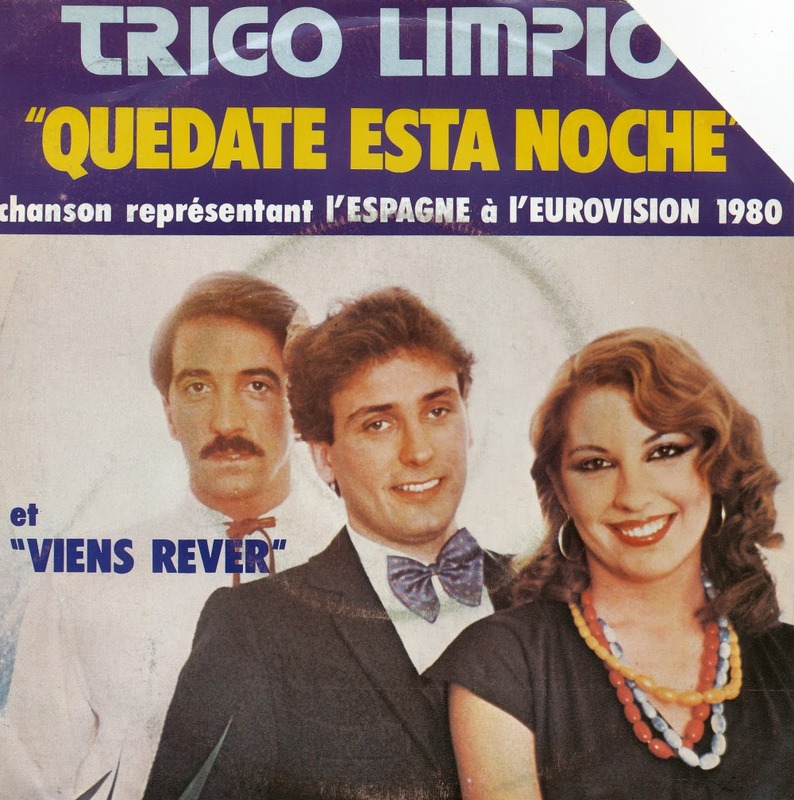 'Quédate esta noche' ('Stay this night') was the Spanish entry in the 1980 Eurovision Song Contest, performed in Spanish by Trigo Limpio, a popular trio in Spain during the Seventies and Eighties, consisting of Amaya Saizar, Iñaki de Pablo and Luis Carlos Gil. During their performance in Eurovision, however, Amaya Saizar was replaced by Patricia Fernández. The song is a romantic up-tempo number with influences from disco, in which the trio sings 'If perhaps I made a mistake / I want to say I'm sorry'. They go on to sing 'Put away the keys / and put the suitcase back in its place again' and the chorus is a direct invitation to the other part; 'Sleep beside me tonight / Stay beside me tonight / Love me a lot tonight / I'll be yours tonight...' The B-side is a French translation of the song.